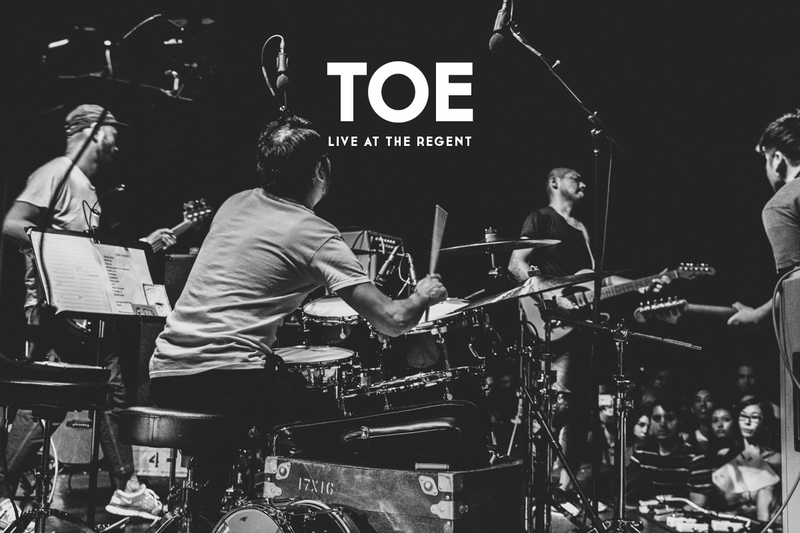 Eaux Claires 2015: A moving an..
TOE is a band that I’ve followed for a long time and their live videos, in many ways, have inspired me to shoot music. I remember the first time I sat down and watched RGBDVD mesmerized. 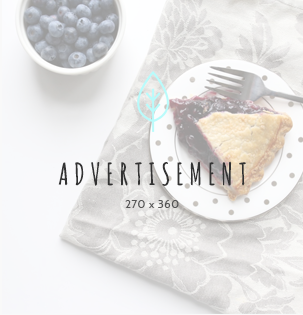 It has definitely influenced my style when I shoot and edit footage, and I’m probably not alone in that statement. One thing I’ve always wanted to do was shoot TOE with my own multi-camera crew. Last year I got close, shooting alongside Made of Chalk at The Beat Kitchen in Chicago. 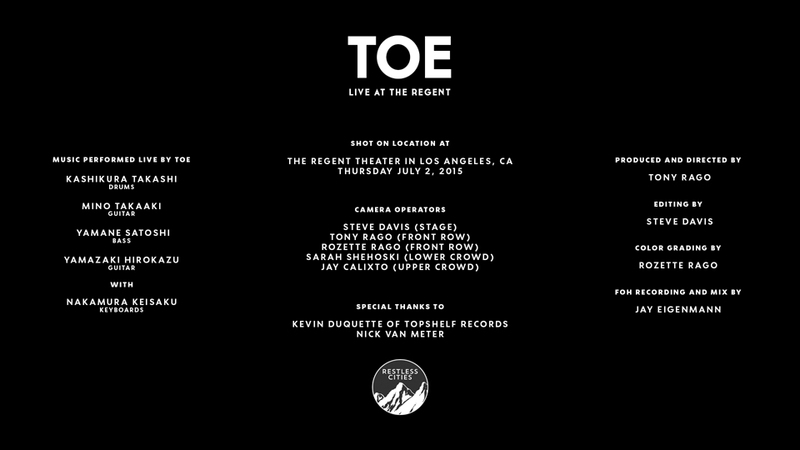 For their Summer 2015 tour “my little wish” came true when Kevin Duquette of Topshelf Records granted me the fantastic opportunity of organizing a team to shoot TOE’s biggest US show to date at the SOLD OUT Regent Theater in DTLA. We hope you enjoy these videos, as it’s the first time we’ve ever taken on something of this scope at Restless Cities. Countless hours went into editing these, and I would be remiss not to give a specific shout out to editor Steve Davis who went above and beyond my greatest expectations to deliver on my vision. Each video is truly a labor of love; every frame, every cut. Producer, Music Aficionado, Social Media Junkie.